TEL AVIV - When Israelis go to the polls today, people around the world will be watching with anticipation. Rabbi Ariel Konstantyn, from Long Island, will be waiting to see if he has a new job, as a member of the Knesset, working to reform the very nature of the Jewish state. JERUSALEM - In early January, Combatants for Peace held a small discussion at the Beit Shmuel Hotel, in the shadow of the Old City of Jerusalem, with two of its members sharing their stories. In attendance were guests from Allegheny College and various other schools in the United States. Combatants For Peace was started in 2005 and is a joint Israeli-Palestinian movement predicated on using non-violence in an attempt to end Israeli control of the area known alternatively as the West Bank or Judea and Samaria. The group was once solely comprised of former combatants from both sides, but now includes individuals who never fought. TEL AVIV - Israelis will go to the polls today to vote for their next Prime Minister and members of parliament (Knesset). Compared to the United States, the electoral system in Israel differs greatly, to say nothing of how campaigns are actually conducted. In Israel, the political party system is far more volatile than in the U.S. This is true even though, with few exceptions, the leaders of the Labor (left) and Likud (right) parties, including their precursors and instances in which those parties have allied with others, have been the prime minister. NETANYA, Israel - About 6,000 miles separate Netanya, Israel and East Lansing, Michigan. Yet, for former Michigan State basketball star and current Barak Netanya star Raymar Morgan, the distance seems much shorter. "Adjusting wasn't really too hard. When I first got here, I was most surprised by just how Americanized it is, it's not too much different than America, looking at all aspects of it. The game is not too much different. Socially, everyone speaks English, so when you want to go to the store, or go out, it's easy to adjust and to adapt," Morgan said. The completed website for Landes Homes Services of Kona, Hawai'i is up- thank you to Craig Zematis and Keith Freund for your design and coding work! Some photos from today's swell... the spot is next to the Dolphinarium, which once served as a sealife performance venue and aquarium [it was dubbed the 'blue and white (read: Israeli) Disneyland,' though they probably meant SeaWorld"]. The venture only lasted a few years and closed in 1985. 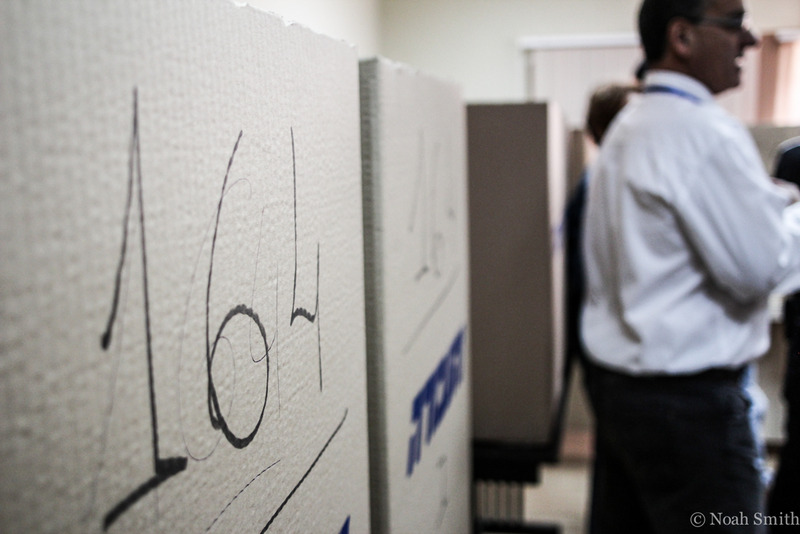 VildeHaya Presents: Primary Election Day in Israel!